Oh, how I adore these two! Andrea glows each time she talks about Israel, and what a wonderful man he truly is. She especially lights up when she tells me how wonderful he is with her daughter, Kiley. I met Israel a few years back when I was still managing a balancing act between working at my family's hardware store during the day, and working as a photographer at night and on the weekends. Every time he would come into the store, he was always so sweet and jovial. He would always be cracking jokes with me and my other co-workers (he was definitely one of our favorite customers!). I remember the day Israel told me he had proposed to Andrea, and how excited he was to start this new chapter in life with his future wife. Fast forward to this past March when I met with Andrea and Israel, who were looking for a photographer for their upcoming wedding. Right off the bat, I enjoyed Andrea's company and energy! She's sweet and caring, and THE perfect match for Israel. During our first meeting, we talked about all things wedding planning, and I also heard the proposal story in greater detail! 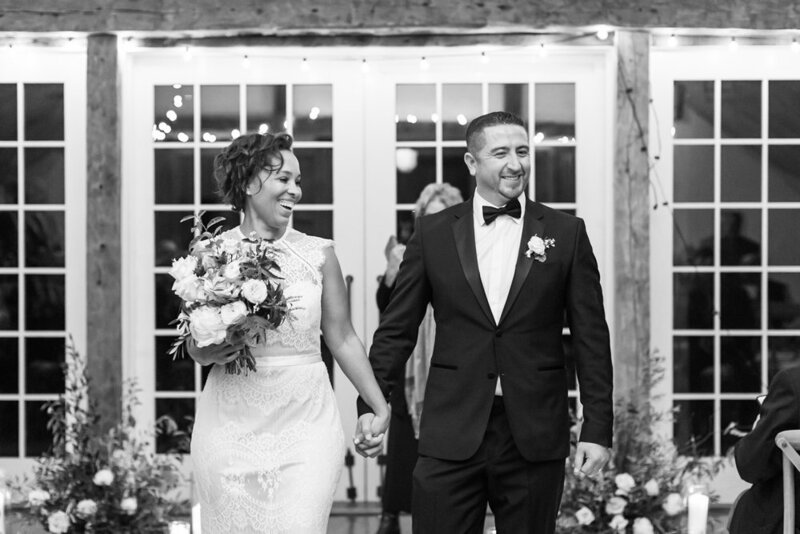 "We took what I thought was supposed to be a weekend road trip to Rhode Island. Israel, Kiley and I checked in to the hotel and whet upstairs to the room to unpack. Israel was pacing around the room, and then asked Kiley and I to sit down on the couch. He took out a box and told Kiley that he bought something special for her. He said "This is a promise from me to you that I love you and I will always try my best to be the best stepdad that I can be." Kiley opened the box and inside was a necklace with a blue diamond Hershey Kiss pendant. As I was totally distracted with tears in my eyes, trying to put the necklace on Kiley's neck, Israel pulled another box out of nowhere. He turned to me and said, "For me to be the best stepdad I can be, I have to ask Mommy if she will marry me!" I literally just grabbed him and my daughter and hugged them for about 10 minutes while he was still kneeling. Then he said "Hun, I love you but my knee is killing me... do you want to see the ring?" It was gorgeous! Obviously I said yes!" 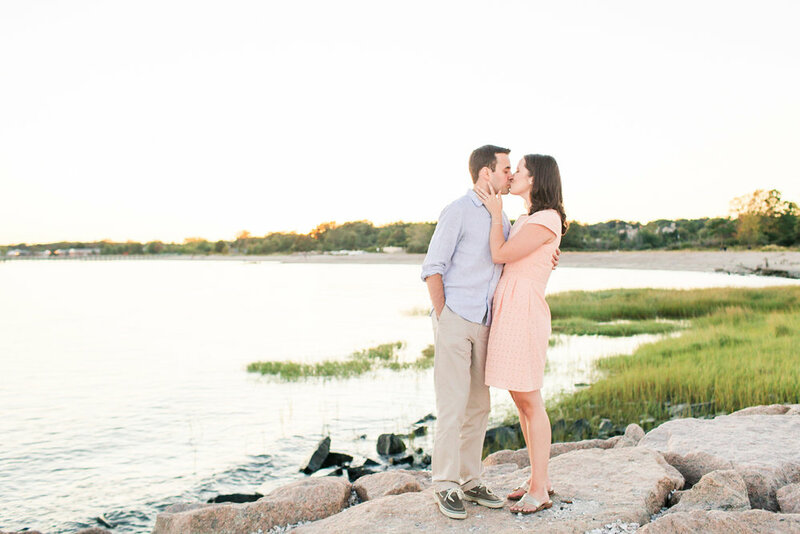 Last Saturday, I met Andrea and Israel at Lighthouse Point Park in New Haven for their engagement session. Despite the wind and the chill of the early spring air, these two ROCKED their session! We started off by a tree where Andrea and Israel had carved their names on one of their dates to the park. 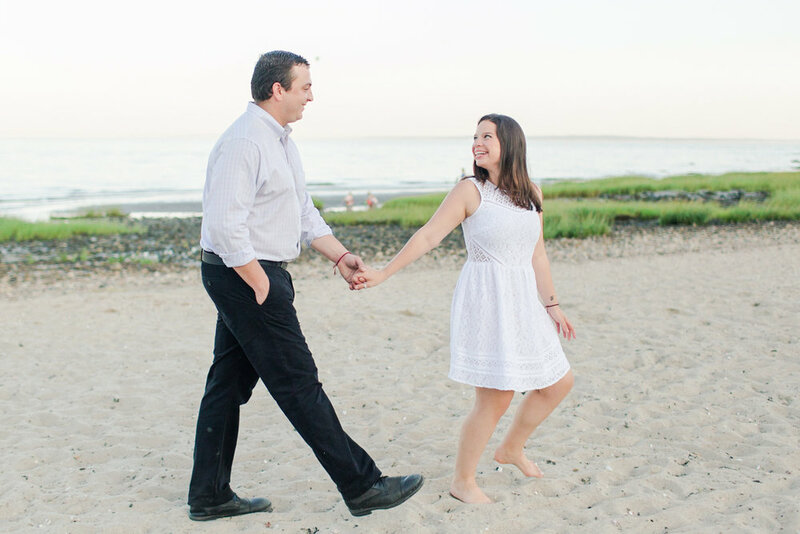 These lovebirds are getting married in Stamford in early October, and I cannot wait to see them exchange their vows of love and commitment to each other! 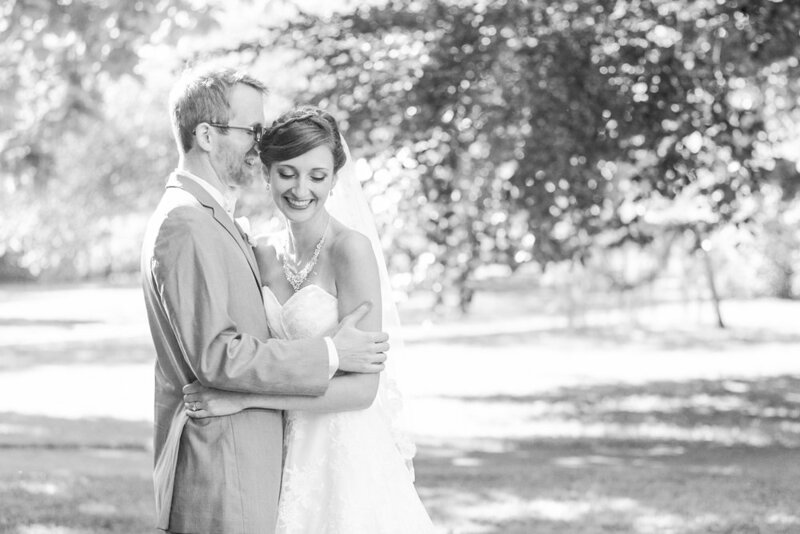 If you liked this post, you won't want to miss Lauren + Nyle's Waveny Park Engagement Session!